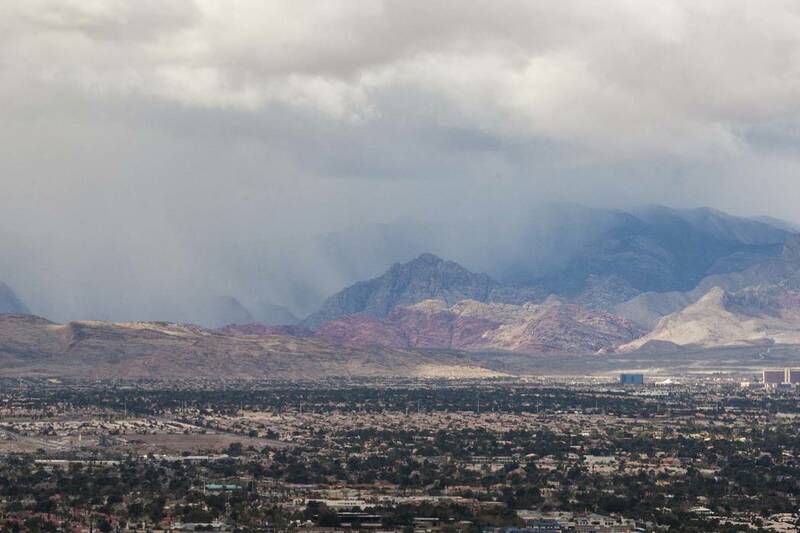 The scattered showers the Las Vegas Valley saw overnight may return on Wednesday, according to the National Weather Service. Tuesday should stay mostly dry after light rain across the valley overnight, but there’s a 20 percent chance for rain forecast for Wednesday, the weather service said. McCarran International Airport reported only 0.01 inches of rainfall Monday night, but parts of the western valley saw a little over 0.10 inches. Tuesday’s high should reach 59 degrees, the weather service said, and temperatures will rise steadily through the week with 62 degrees high on Wednesday and Thursday, 64 on Friday and 68 on Saturday. Contact Max Michor at 702-383-0365 or mmichor@reviewjournal.com. Follow @MaxMichor on Twitter.